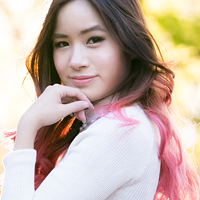 Kim Dao Blog life liz lisa youtube Liz Lisa is coming to San Francisco! LizLisa Fashion Contest details~! + Liz Lisa Giveaway! Liz Lisa is coming to San Francisco! LizLisa Fashion Contest details~! + Liz Lisa Giveaway! Some of you already may know, but for those of you that dont..
Liz Lisa is coming to San Francisco!! This will be the first time Liz Lisa is coming to the United States and is a very rare opportunity! Next weekend at the J-pop Summit Festival in JapanTown San Francisco, Liz Lisa is going to set up a pop-up shop in the in the NEW PEOPLE retail store. I'm also going to be there working in the Liz Lisa store! I would love to meet all of you guys so if you guys can, please come say hi to me there! Also, Liz Lisa is going to be holding a Fashion Contest! 1. Fashion contestants do NOT have to wear Liz Lisa items but if coordination includes Liz Lisa, that’s great. For Liz Lisa fashion reference, please check out: http://www.lizlisa.com/index.html! 2. Judging will be based on creativity and adherence to the theme, and on how each contestants explain their look to the audience during the contest. 3. The winners will be chosen by the judges: Liz Lisa staff, a member of the LL Gals and singer Kylee. 4. Gorgeous prizes presented by Liz Lisa! Get in quick because the first few people who sign up online will get some free gifts from Liz Lisa on the day! If you don't put in your details and want to enter last minute on the day, you can still come to the wardrobe screening and join! Also, to celebrate I'm going to be hosting a LIZ LISA GIVEAWAY! Goodluck! And can't wait to meet you guys in San Francisco! OMG! LIZ LISA <3 I live in Los Angeles but no money to fly/drive up there. I'm so happy that Liz Lisa is coming to US. It's a dream come true. I hope the turn out will be a success so they can open a store.